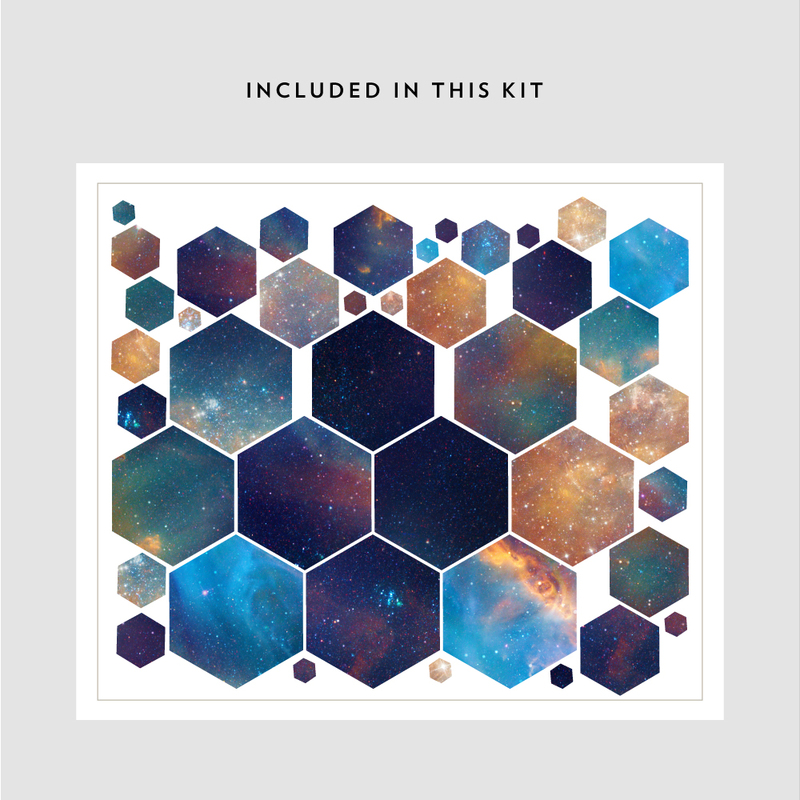 Make your own pattern with these multi-colored, multi-size hexagons. 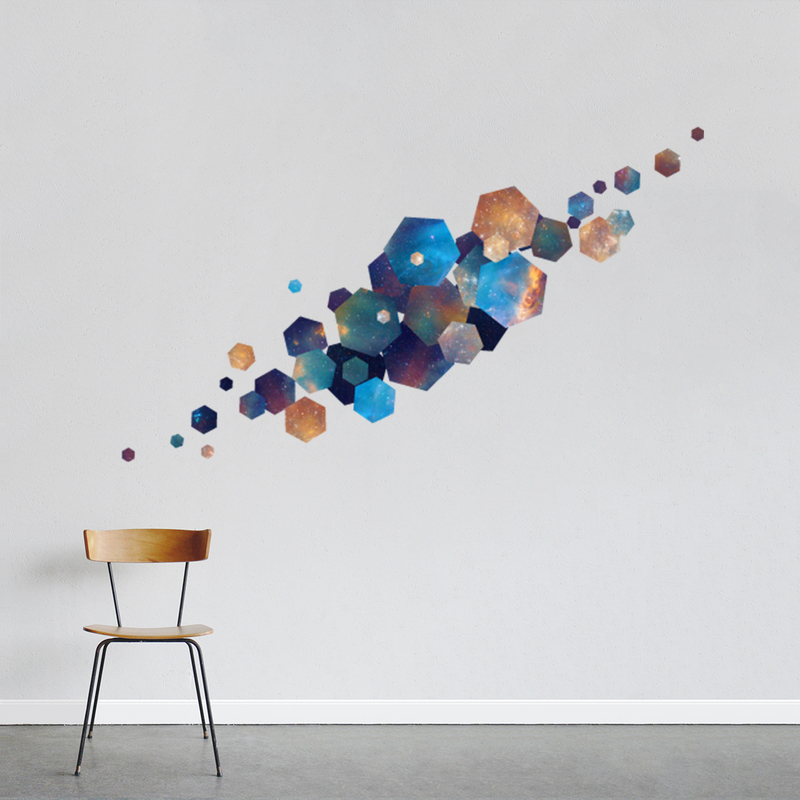 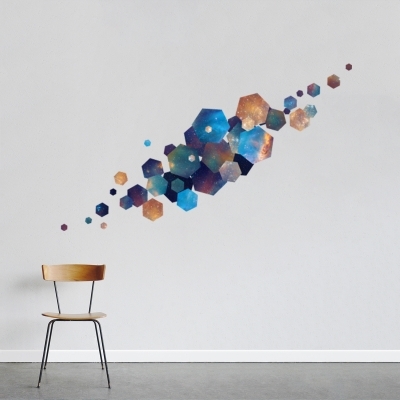 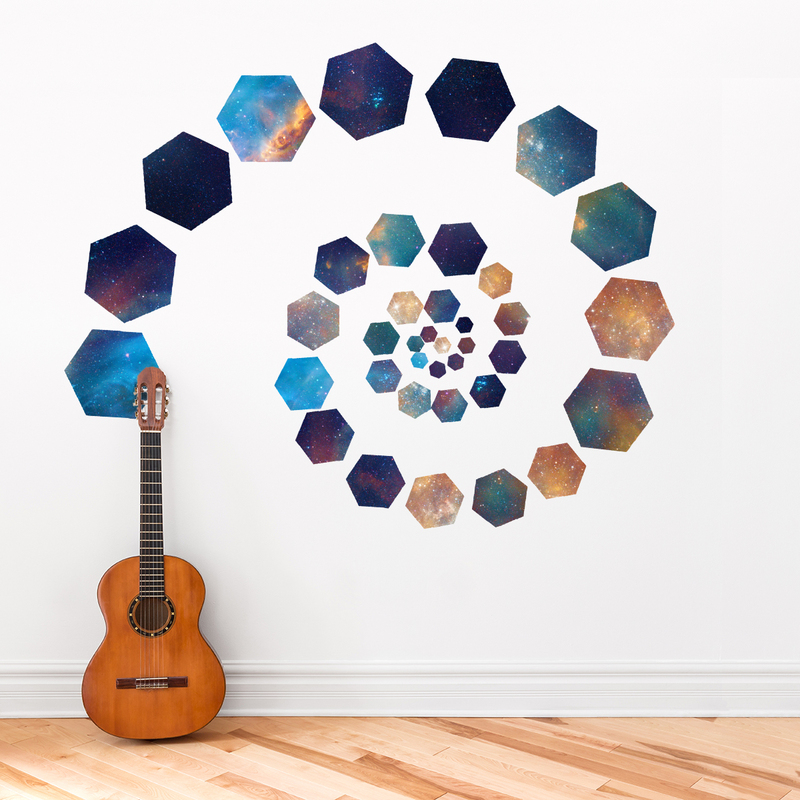 These decals show the texture of a nebula, also known as 'galaxy' colors. 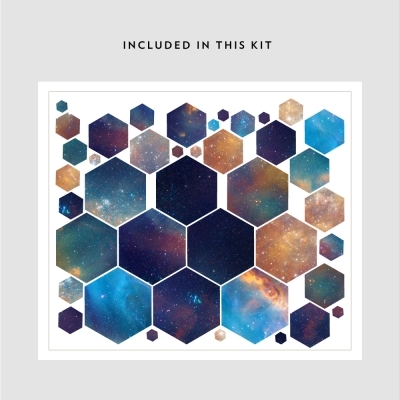 Largest hexagons: 13.25" x 11.5"
Smallest Hexagons: 2" x 2"
Comes with 41 assorted size pieces.